Here is a slab of joy that I’m smitten to share with you; I’ve re-incarnated Cadbury’s gift to the world in slice form, and it is destined to unite cherry ripe lovers and convert cherry ripe haters. Is there such a thing as a cherry ripe hater? What a sad soul. 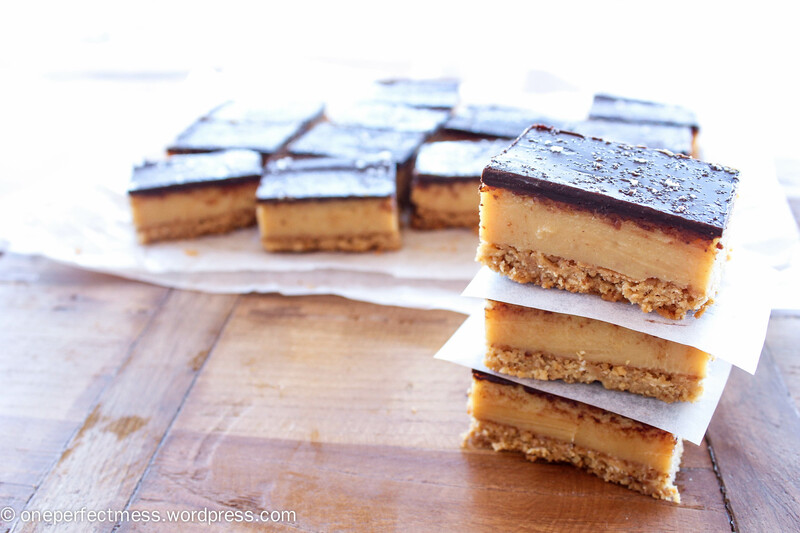 Let’s not dwell on such pitiful things, back to this swanky ol’ Cherry, Chocolate and Coconut slice! A crunchy chocolate biscuit base sets the stage, and is a worthy foundation for the soft, sweet, chewy coconut and cherry filling, bursting with juicy chunks of cherry. 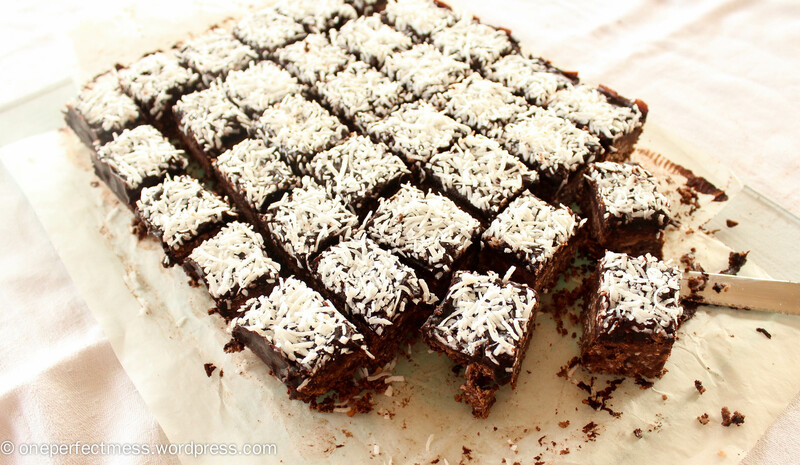 Atop all that lies a silky layer of chocolate and coconut ganache, that catches clouds of coconut flakes. Hello you. Yes, you. I know you can’t take your eyes off me. I’m rich, warm and utterly irresistible, and I’m begging you to just take a bite…I’m certainly not a treat for the faint-hearted. 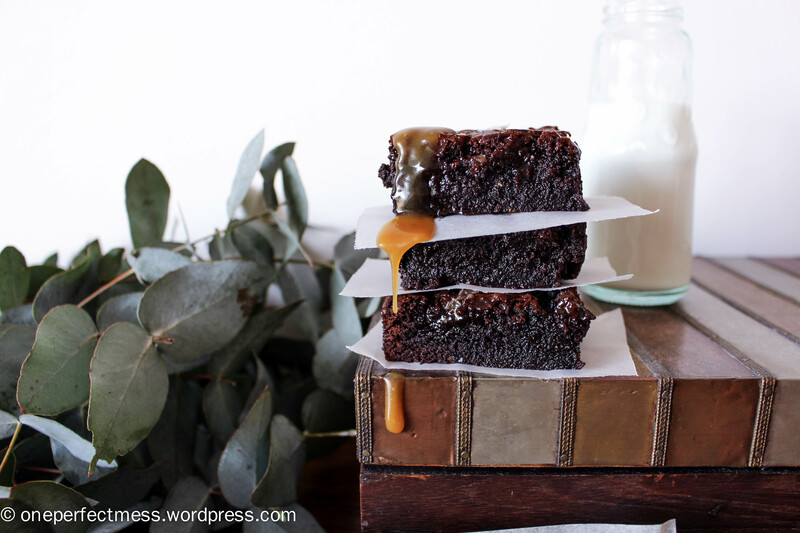 If you allow yourself to indulge, you’ll first encounter a trace of salt that just touches your lips as your discover a drizzle of thick, velvety caramel nestled on my surface. Then, your teeth will overcome gentle resistance from my crisp surface before collapsing into a deep, thick, chocolatey mouthful of brownie bliss. The room will become hazy as a seductive combination of sugar and salt enrapture your senses, and you’ll be licking your lips and gazing longingly at your second bite before you’ve finished your first. And that’s ok, because there’s plenty of me to enjoy. I can be yours, tonight, if you’ll just whip out that apron and mixing bowl and spend a sweet hour in the kitchen. Oh, and any leftover salted caramel sauce can by drizzled generously over icecream… Tempting? I’m going to keep this one simple. 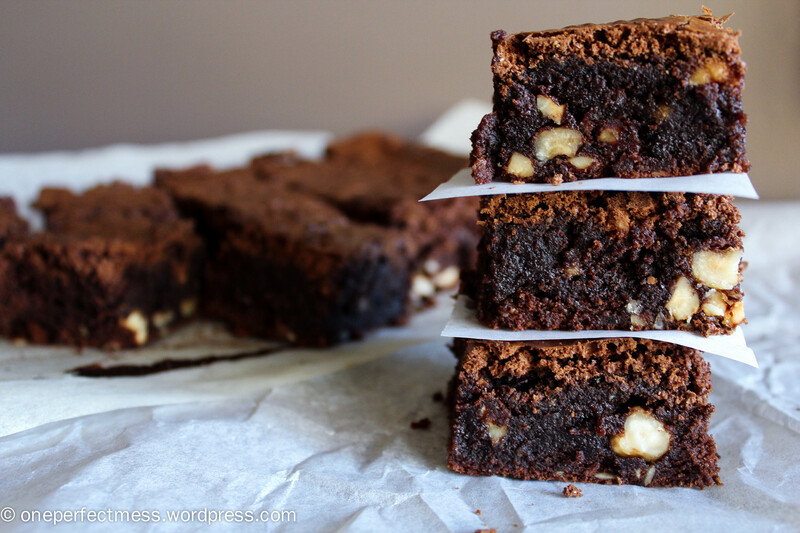 Here you will find an incredibly easy recipe for possibly the best brownie you will ever taste. Packed with dark chocolate, butter and hazelnut, these brownies are soft, fudgey, crumbly and incredibly moist. I used a touch of almond meal and coconut essence to add a subtle depth of flavour, and have found that the recipe can easily be made gluten free by substituting regular plain flour for gluten free plain flour. Also, feel free to swap the hazelnuts for walnuts, macadamias, almonds, peanuts etc…but then again you can’t go past the perfection of chocolate and roasted hazelnuts. These are definitely best when served warm, your fork will slide right through that chocolately goodness, and each heavenly bite will literally melt in your mouth. Bake them for friends, family or yourself, and have fun! My family love that I’m blogging because it means I bake more which means they have a near constant supply of cakes and slices and biscuits and all good things…this is working out well for everyone! This is a famous family recipe that Mum originally found in the 1982 Women’s Weekly ‘The Big Book of Beautiful Biscuits’. It’s ridiculously easy to make, I whipped it up to feed my brothers and cousin as they all study for end of year exams. Everything you need for this biscuity, chocolatey fudge is cheap and I already had all the ingredients in my pantry. That is destiny.